There are two occasions related to estate sales when the home may need to be cleaned: A precursory cleaning may be required before the estate sale, and a more extensive clean out following the sale or liquidation of the home contents. Before the estate sale, it may be necessary to prepare the home to create an inviting environment for bidders. Preparation requires handling the cleaning and organization of disorderly rooms before buyers attend the liquidation event. Substantial cleaning can require an additional charge, if this is the case in your situation, Cynthia will be forthright to let you know about it up front. 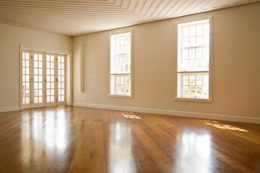 After the estate sale is complete, clean up may occur to further prepare the home for sale. Cynthia always leaves homes in the same condition or better that she finds them in. Clean ups can range from a simple broom clean to an extensive deep clean that leaves the home looking polished and ready for new ownership. A quote for cleaning will be available for you once she has looked over the home.